For viewers, it is interesting to watch a genre film blends horror elements with quantum-level science fiction speculation. Of course, it is not much fun for the characters forced to participate in the narrative. Risking violent death is bad enough, but they cannot even count on the rules of reality to behave. 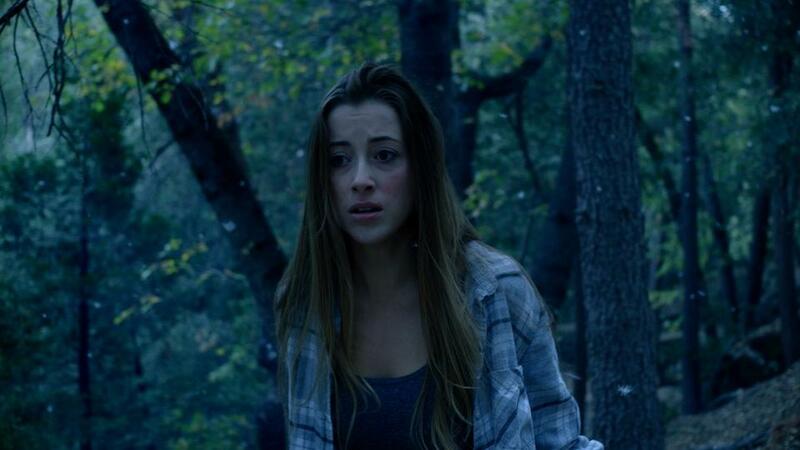 This is the situation McKenzie and her Scooby Mystery Team friends encounter when they venture into the woods to search for her missing sister in Nicholas Woods’ The Axiom (trailer here), which screens during the 2018 Other Worlds Austin Film Festival. McKenzie’s sister Marilyn is admittedly a little flaky, but she has been missing way too long without any sort of word. She has reason to believe Marilyn disappeared into these ominous woods. However, she has not fully leveled with her brother Martin, his fiancée Darcy, her brother Edgar, and the abrasively obnoxious Gerrick regarding the suspicious circumstances. Speaking of suspicious circumstances, there is also Leon, the road house owner who responded to the missing person notice McKenzie posted on Craig’s List. He offers a lot of strange Timothy Leery crazy talk about the forest, all of which might very well turn out to be true. There also could very well be more to his involvement than he lets on. Regardless, strange things seem to be afoot near the cabin they are visiting, starting with the fact the sun has yet to set, even though it is after midnight. Arguably, Axiom is a victim of bad timing, because it arrives not so very long after Benson & Moorhead’s The Endless screened extensively on the festival circuit and earned a respectable theatrical release. Granted, they are not about the same, precise phenomenon, but they are close enough for Hollywood, except Benson & Moorhead take it much further. In any event, Axiom feels like the Reader’s Digest version of The Endless, in comparison. Nonetheless, Hattie Smith is quite good as McKenzie, giving her some gumption, even when she is completely and convincingly freaked out. She is the one in this ensemble who could have breakout potential. Former Hobbit William Kircher is the other standout, providing some tangible villainy viewers can hold onto when things start to go bonkers around the portal thingy. The Axiom bills itself as the thinking person’s horror movie, but frankly, there have been many smart chillers that incorporated some pretty advanced theoretical concepts. Woods has some interesting ideas, but the film creates expectations that are higher than its ability to fulfill. Still, it has more going for it than the average slice & dice. 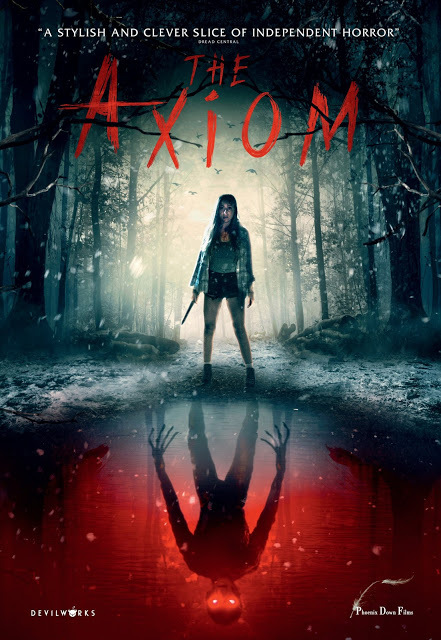 There is a lot of promise here, but it is not a transcendent genre-bender, so manage your expectations accordingly when The Axiom screens this Friday (12/7), during Other Worlds Austin.